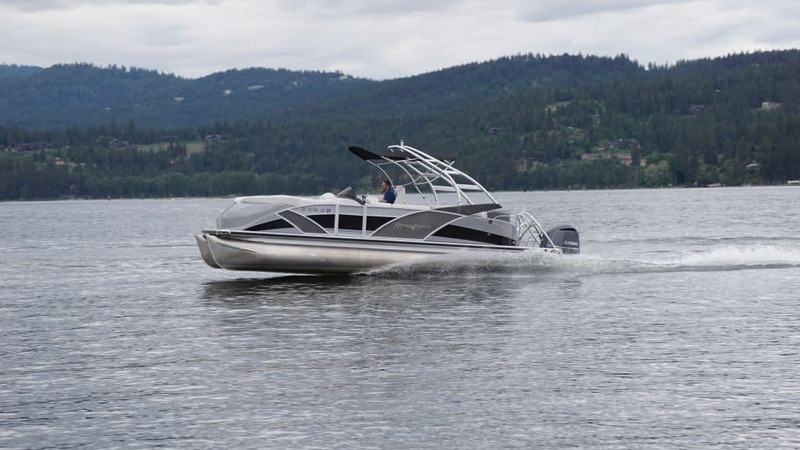 The flagship of our Lake Coeur d’Alene rental fleet is the Aqua Patio 250XP performance pontoon. 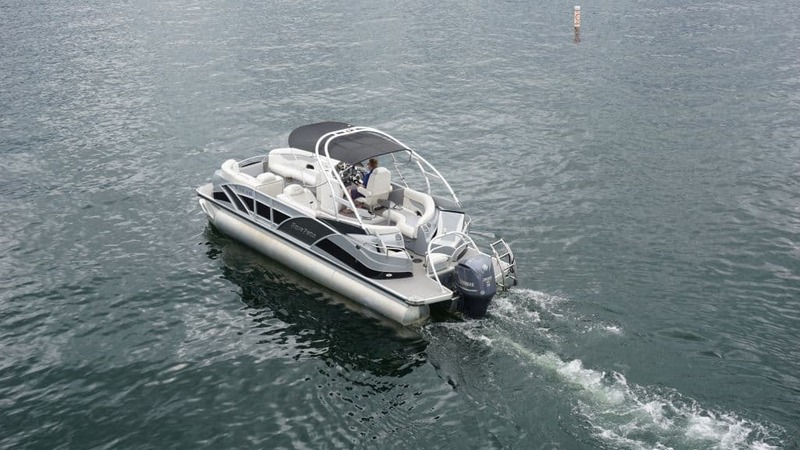 This boat measures just under 27 feet long, and the combination of the MASSIVE 300HP Yamaha outboard, with Aqua Patio’s tri-toon design and lifting strakes, means not only can you cruise in style, but you can also pull tubes, wakeboarders, and water skiers alike! 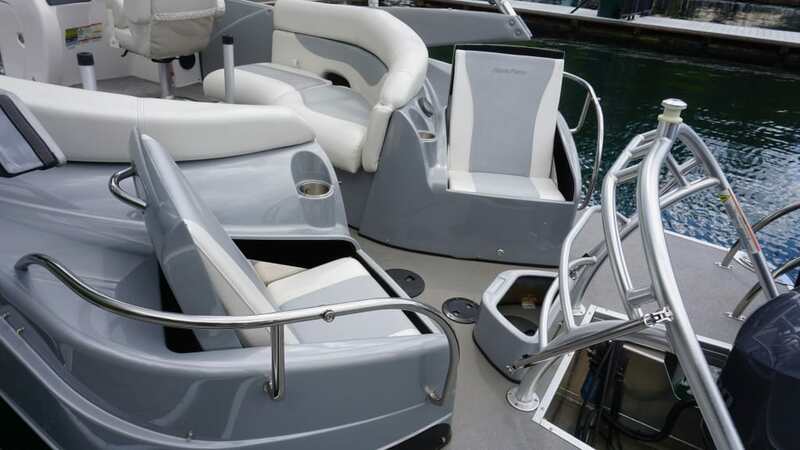 The massive size also means an incredible amount of stability on larger, choppier lakes. 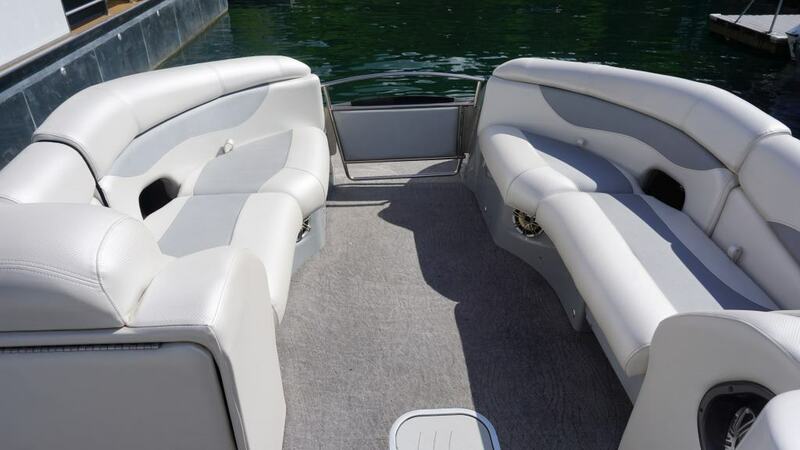 This boat comes fully optioned with features to provide the highest quality tri-toon boat rental experience in the Lake Coeur d’Alene, Hayden Lake, and Spokane area, period. Premium Quality, Size, and Speed! 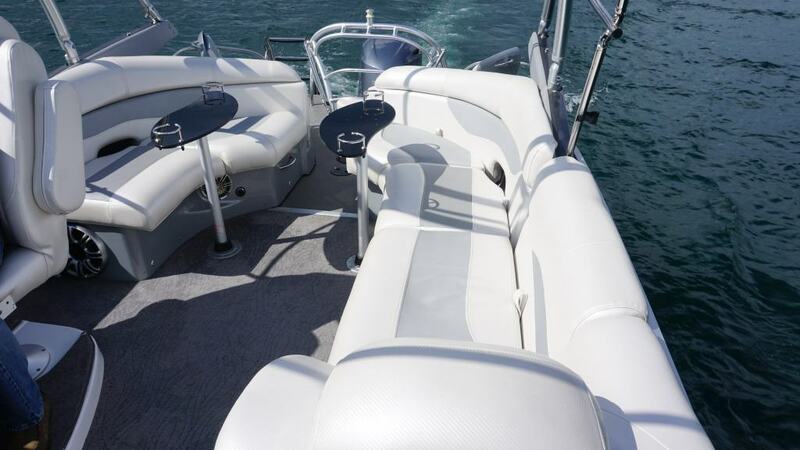 MASSIVE 300 HP Fuel Injected Yamaha motor. 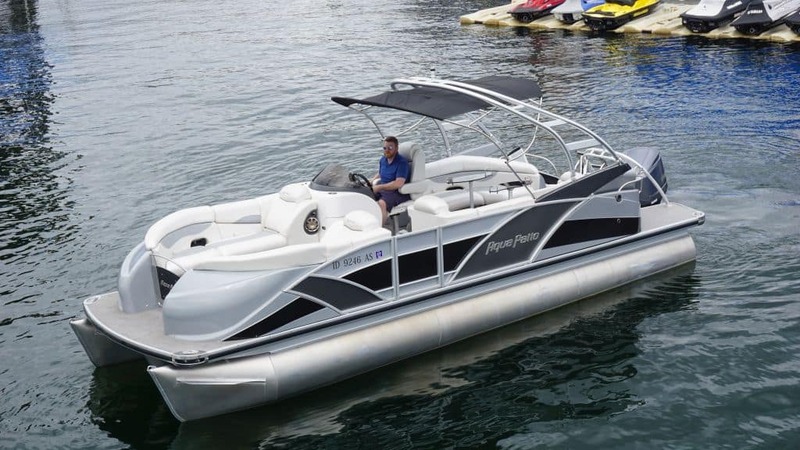 This is the fastest rental tri-toon ANYWHERE.